A unique and elegant knife, the Steel Tiger is one you'll want to show off to your friends. In response to the many requests from customers, and with the help of custom knife maker, Steven Likarich, Cold Steel proudly introduces the Steel Tiger. The broadly curved AUS-8A stainless blade is taper ground, vacuum heat-treated and sub zero quenched for maximum strength, cutting power and edge retention. 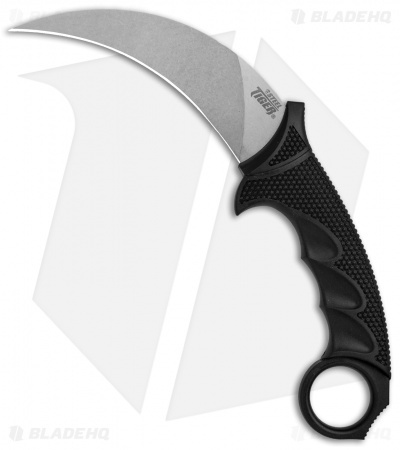 The blade has a satin finish and has the Steel Tiger logo etched on one side, and has "Cold Steel, Taiwan" etched on the other. The grip really distinguishes this knife from the competition. It provides comfort, ease of use, and strength all in one design. The core is made of tough Grivory - a thermoplastic resin molded at high temperatures and lightweight. The core is overmolded with Kraton, a more flexible and durable elastomer that creates a comfortable, non-slip grip. For safety, convenience and quick access, the Steel Tiger comes with a sturdy Secure-Ex sheath that can be tied to your gear or carried using the removable boot/belt clip. Bought this as a back-up home defense tool. Came wicked sharp with a gorgeous point. Feels great in hand!!! I dont see this failing in an emergency. Stays by bed on night stand. 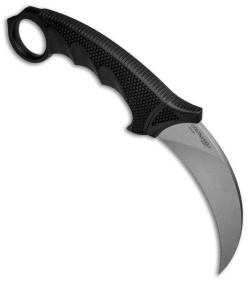 Haven't used it to cut anything.... but I did not buy this to cut stuff, I got plenty of other utility cutters around my house and on my person. 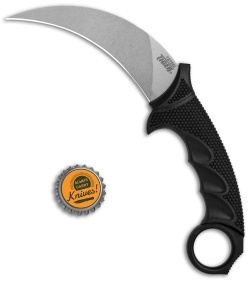 This knife is very solid and well made. Fun to use and EXTREMELY SHARP !! Cold Steel is GREAT ! 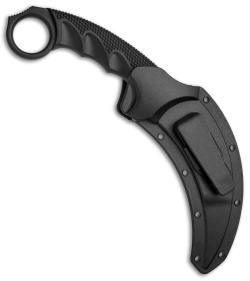 Very affordable price for a very effective self defense karambit. Did not come razor sharp. Not a fan of the new blade grind or the stonewash finish.